Are Your Loved Ones Safe? I’ve talked before about our upcoming move. With this move I find myself thinking more of what I want inside the house. A security system is at the top of my list. Being home alone during the day with two little ones makes it an ideal purchase. But what about my loved ones. My parents are getting older and my dad has a history of strokes. We have been very, very lucky in that every time he has had a stroke he was not home alone. But that is not to say that it couldn’t happen. 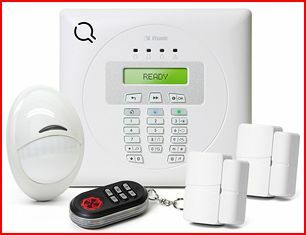 Medical alarm monitoring would ensure that even if he was home alone, he would still get the help he needed. A simple push of a button and help would be on the way. Come to think of it this wouldn’t be a bad thing to have around in case of a really bad accident. I am not sure Genghis could call 911 for me. Who in you life would benefit from a medical alert system?